Disclosure: In exchange for my post and to facilitate my honest review of this experience, my family received tickets to this attraction and a meal voucher as part of a promotional blogger tour of Branson, MO through US Family Guide. No other compensation was received and all opinions expressed are my own. 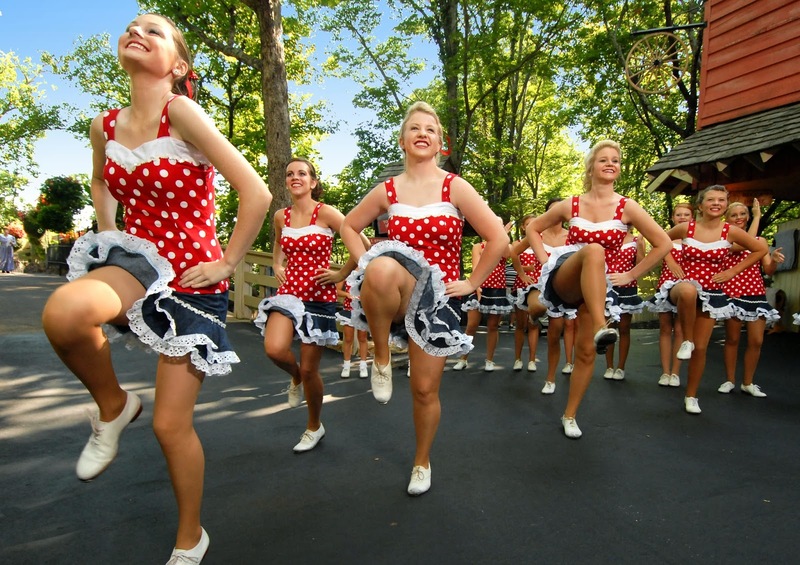 If you're from the Midwest, you've probably at least heard of Silver Dollar City. If you've never been, let me tell you: you're missing out. It's amazing at anytime of the year, and although I'm particularly fond of attending the Christmas Festival, there's never a lack of things to do or see when you are in this theme park designed to resemble an 1800's mining town. 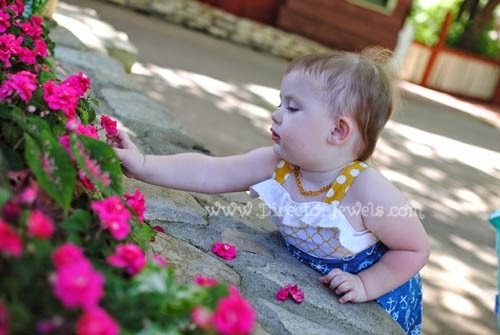 At the end of this post, I'll be sharing 5 Tips for Food, Festivals, Entertainment, and General Kid-Friendly Things at Silver Dollar City with Toddlers, so stay tuned for that! 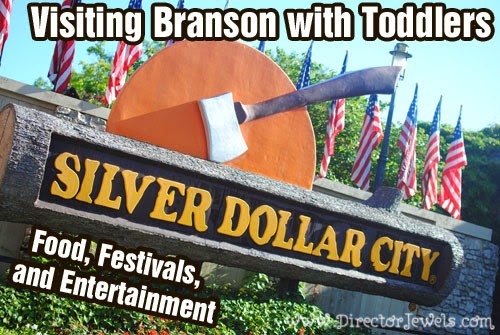 And make sure you read my other post from this trip: Visiting Branson with Toddlers: Silver Dollar City Rides & Kid Zones. Moonlight Madness (July 19-August 3), featuring a fireworks finale each night! Southern Gospel Picnic (August 22 - September 1), with hundreds of performances from Grammy and Dove Award winners. Country Music Weekend (September 6-7), presenting concerts from the stars of classic country hits. 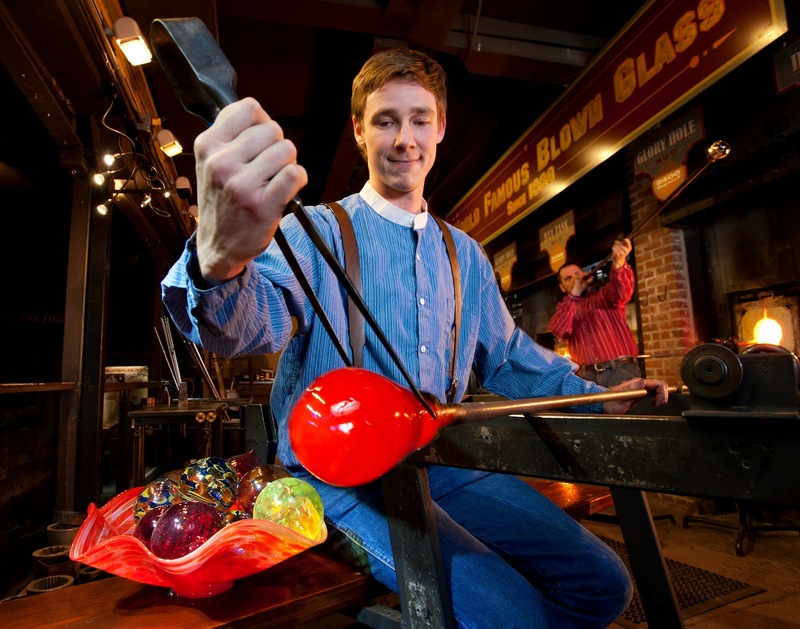 National Harvest & Cowboy Festival (September 12 - October 25), the largest national festival of demonstrating craftsmen. An Old Time Christmas (November 1 - December 30), one of the most-acclaimed Christmas festivals in the country - featuring five million lights. Silver Dollar City started as a cave tour business back in 1894. The original attraction, Marvel Cave, is still operating and is truly a wonder! We didn't make it into the cave on this trip and will probably wait until the kids are a little bit older to venture below the ground with them, but for those traveling without toddlers, it's definitely a highlight! The park officially opened on May 1, 1960, and has seen 71 million guests since that day. And it all started as a hole in the ground! 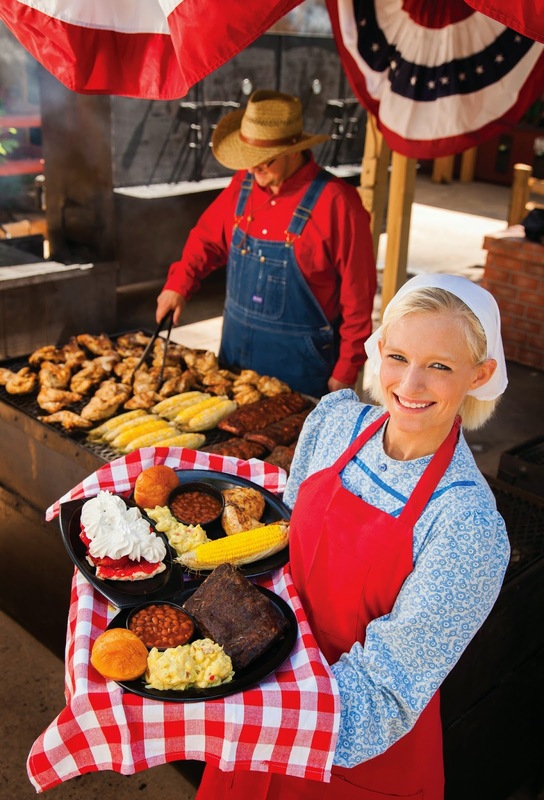 Silver Dollar City was named the Home of American Craftsmanship by the U.S. Congress, and daily you can find craftsmen demonstrating and selling their wares. It's fascinating to watch these artists work! 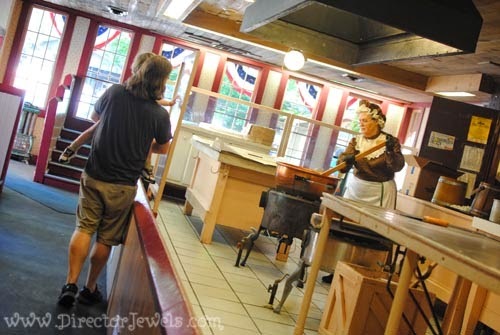 Lincoln doesn't have the patience to watch many crafts, but he was definitely intrigued when we stopped by Brown's Candy Store and watched as the 1800s-clad staff members made Silver Dollar City's signature peanut brittle before our very eyes. He was most interested in eating the free samples, of course! 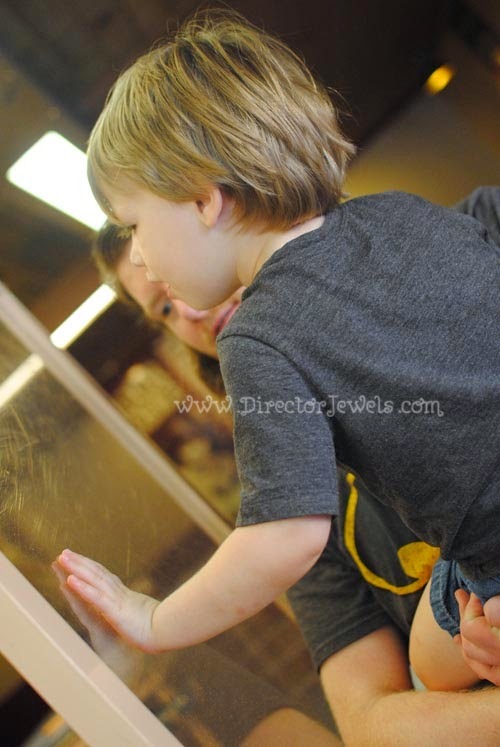 There are many interactive opportunities for kids when visiting the Silver Dollar City shops. One of my favorite things as a girl was to visit Carrie's Candles and hand-dye my own candles in my choice of colored wax. Andrew and I put a heart candle set that we hand-dipped while we were dating on our Christmas tree every year. And speaking of Christmas, you can feel the holiday spirit year-round when you stop by the holiday shop (close to the train station) and snag holiday gifts or a souvenir ornament for your family's tree. 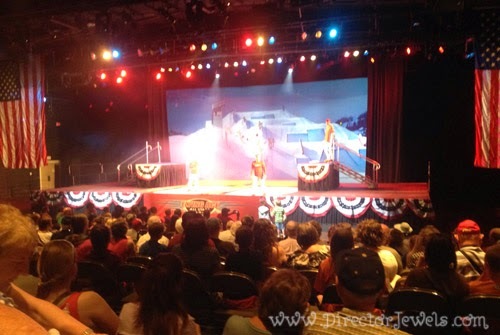 Everywhere you turn, you can find a theater or street show to watch as you make your way through the park. Music streams through the Ozark hills, and the entire park has such an old-time, down-to-earth feel, that you just find yourself having the most relaxing time away from the "real world." There's so much to do and see that it's very easy for the youngest members of a group to become just plain worn out. Addie lasted until about 1pm before completely crashing in my Ergo baby carrier. Since she was asleep, I made a stop in one of the convenient Nursing Stations to sit down and chill with her, while Andrew and Lincoln attended the new Flying Ace All Stars show at Red Gold Heritage Hall. Lincoln was impressed by the Olympic athletes, world champions, and future hopefuls who performed amazingly daring stunts on trampolines. 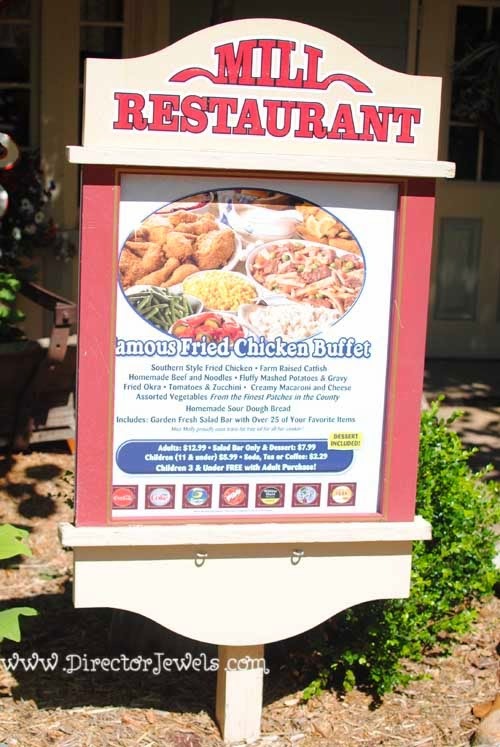 Silver Dollar City is not your "typical" theme park and there is nowhere that it is quite so obvious as in the abounding food choices throughout the park.. At other amusement parks, you can expect to pay exorbitant prices for sub-par greasy food that no one even expects to taste good. But here? You're in for a treat no matter where you decide to dine - and there are a dozen restaurants and a huge assortment of street and snack vendors to choose from. It's no easy choice! As part of our blogger tour, we were treated to breakfast at Molly's Mill Restaurant, which features a world-class buffet. Kids 3 and under are free (yay), so this is a logical choice for our family, anyway. Our morning at Silver Dollar City started off as we filled our plates in the buffet line with countless breakfast delicacies - biscuits and gravy, grits, potatoes, pancakes, scrambled eggs, bacon, sausage, a huge assortment of fruit...honestly just about anything you can imagine was there. We all had multiple servings and were stuffed as we headed off for our adventures in the park. I had never eaten breakfast at the park before, but I loved this meal and hope to make it a tradition. I think it's a great way to get the day off to an energizing start. 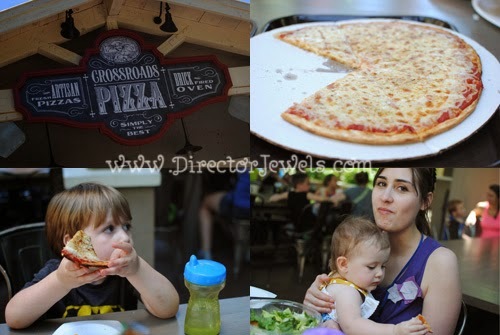 For lunch, we went with a location we had tried during last year's Old Time Christmas festival and ordered a cheesy delight from Crossroads Pizza. I was hoping to add something a little healthier to our lunch, too, so we ordered a Caesar salad to split. Between the four of us, we could not even finish all the food! It was delicious - and pizza is something I knew the kids would eat since it is familiar. I really wanted to stop by Hannah's Ice Cream Parlor for some homemade, creamy goodness, but we just ran out of time and energy! 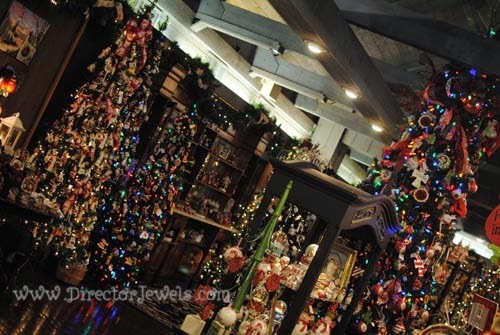 It's on my Silver Dollar City bucket list for another time! 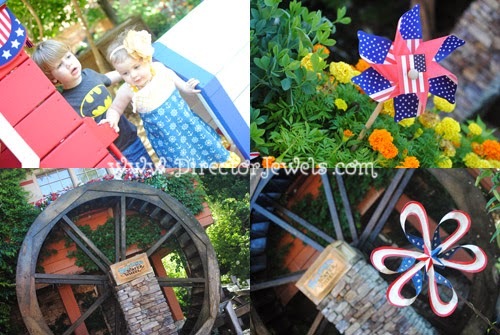 Top 5 Tips for Food, Festivals, Entertainment, and General Kid-Friendly Things at Silver Dollar City with Toddlers. 1. 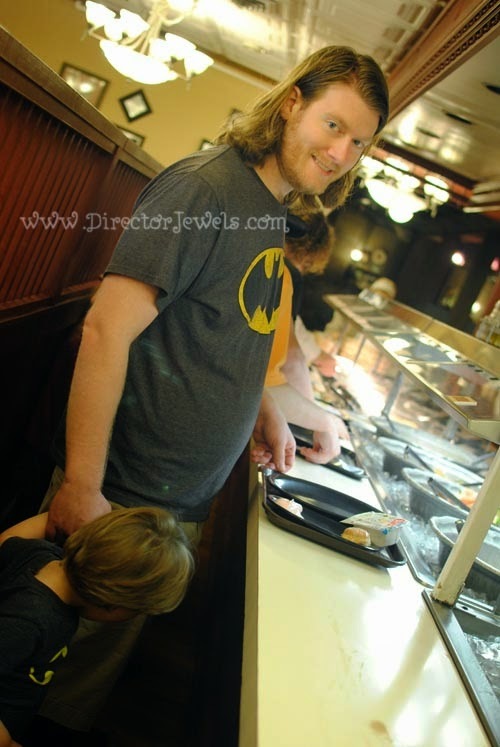 Kids 3 and Under Eat Free at Molly's Mill Restaurant and Mine Restaurant Buffet. Free=always good. Am I right? You can also ask at any restaurant if you have special dietary needs or need to see an ingredient list. 2. If You Forget Basic Supplies, Don't Fear! You can stop by the Hospitality House for diapers and wipes, sunscreen, medicine, camera batteries and more. 3. Strollers Are Available for Rent. Expect to pay $13 for a single or $18 for a double - if you're short on luggage space, this might be a bargain. 4.This Summer, Stop By the Carousel Barn for Special Character Meet & Greets - including Scooby-Doo and Shaggy, Team Unizoomi, the Backyardigans and more! Find out more here. 5. There Are Nursing Stations Throughout the Park. And they are fantastic. If you need a spot to chill with a baby, seek out one of these air-conditioned spaces. 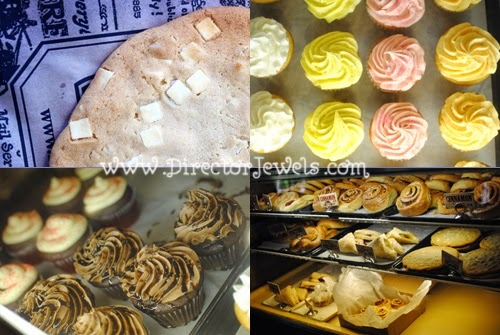 And last - but definitely not least - no trip to Silver Dollar City is complete without a trip to Eva & Delilah's Bakery, located just inside the park entrance. We stopped by on our way out and nabbed a big box of cinnamon rolls, which Andrew and I embarrassingly consumed within 12 hours in our hotel room. Don't go here if you're hungry and trying to avoid sugar! It's hopeless - in a good way. Guests who were born or married in 1976 receive a FREE season pass this year only! Spread the word! 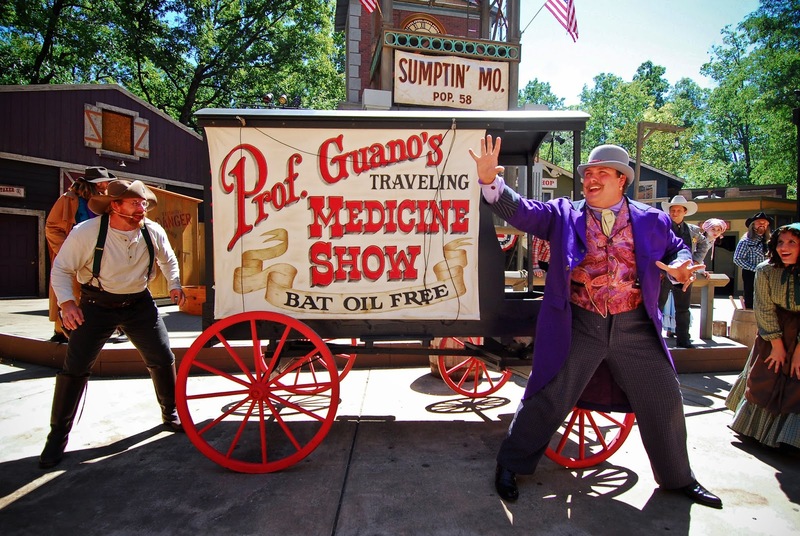 You can find out more and purchase tickets to Silver Dollar City here - plus make sure you are following on Facebook and Twitter for all the latest updates! 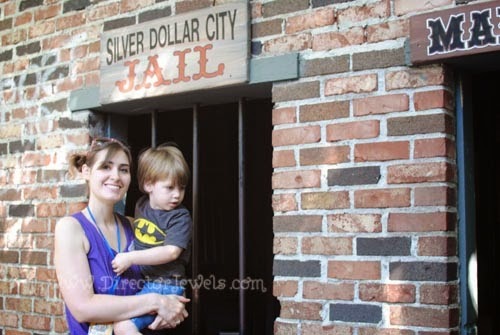 Disclosure: In exchange for my post and to facilitate my honest review of this experience, my family received tickets for this attraction and a meal voucher as part of a promotional blogger tour of Branson, MO through US Family Guide. No other compensation was received and all opinions expressed are my own. For more info, you can view my Disclosure Policy.